If you’ve not heard about PhynoFest 2017 by now, then you’re probably living deep under Olumo Rock or you’re completely antisocial. 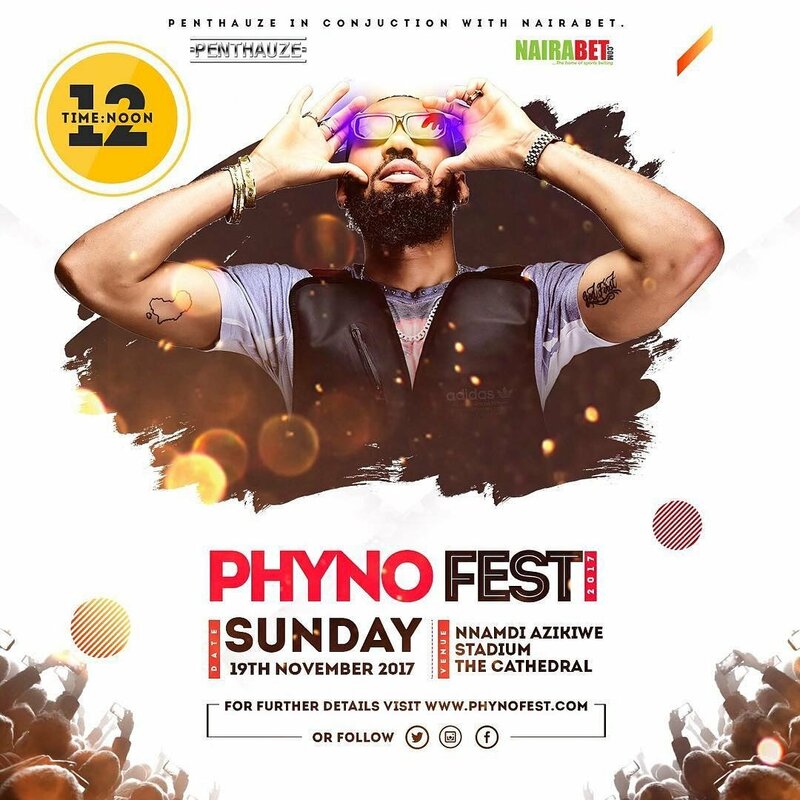 Anyways, Penthauze and NairaBET are teaming up to host another edition of PhynoFest 2017, a concert scheduled to rock South-Eastern Nigeria this Sunday, 19th November 2017. NairaBET is giving away 100 regular PhynoFest’17 tickets. And these will go to the first 100 NairaBET members to respond. All you have to do is rush down to pick up your ticket at any NairaBET outlet in Enugu. Just supply your username to the shop agent if you’re an online customer. And if you’re a shop customer, you only have to present a current NairaBET slip. And you’ll get your free ticket. So hurry now…go to a shop nearest to you in Enugu and go grab your ticket.